Anyone else feeling the end-of-the-school-year hustle? Between school parties and celebrations, Mother’s Day, and soon-to-be summer events (I’m not sure what else to call them), I’m certainly feeling it. In just two short weeks summer begins for my kids. I’m excited to get a break from early morning school drop-off and late afternoon school pickup, or more like a break from the crazy traffic jams (ah, city life). I’m looking forward to going out to the beach in the evenings, and maybe even enjoying a few picnic-style dinners. I’m also looking forward to spending quality time with the kids, without the time schedules that usually rule our days during the school year. As the school year comes to an end and summer starts, I’m definitely beginning to think about planning and preparing quick and easy meals. 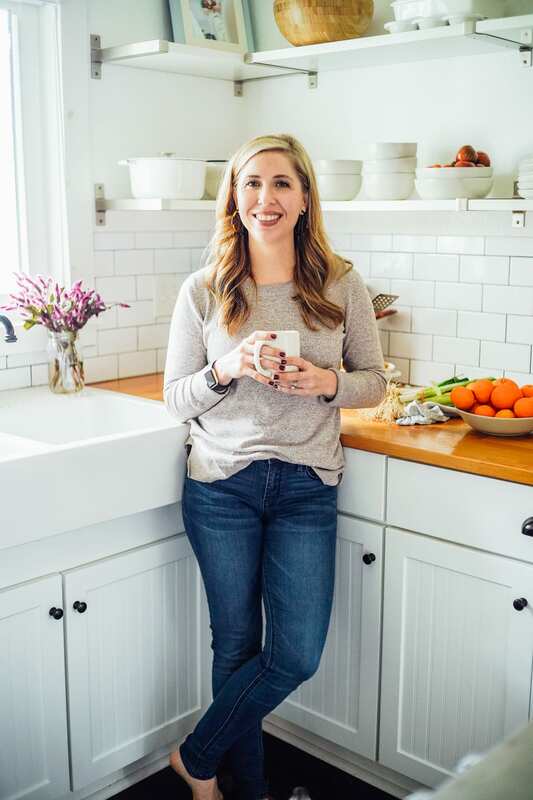 As I mentioned in the pesto recipe post the other day, these meals usually consist of recipes that may be prepped in advance (like barbecue chicken for the grill), or simple meals that come together in under thirty minutes (like the veggie fajitas we made together a couple of weeks ago). These easy meals are a staple for our family all summer long. They are light, yet hearty enough to be called a meal, and refreshing. Salads also become a staple at our dining room table (or picnic basket–I’m still thinking about what a good idea that is!) during the summertime. 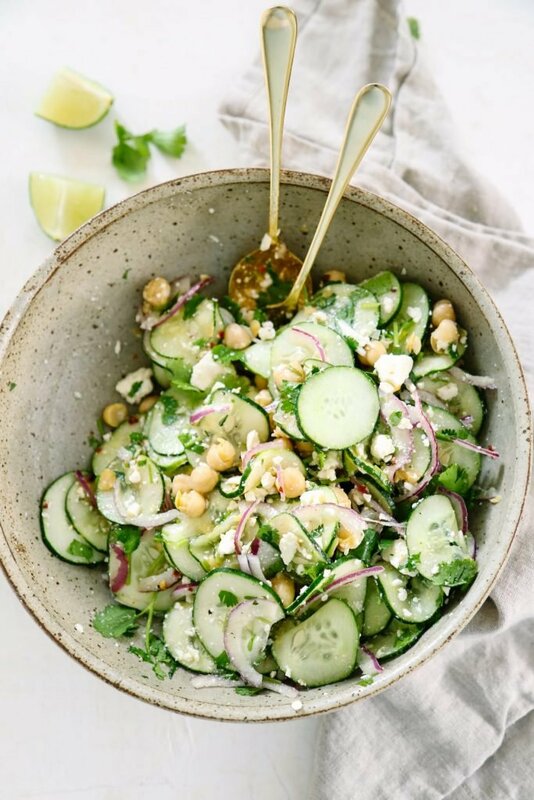 Salads are an ideal summer food since they are light, incredibly refreshing, simple to prepare, and pair well with just about any protein from the grill. While salads are amazing, they often present an issue when it comes to serving them as the only side for dinner. Maybe you have a child, like my youngest, who will eat anything and everything. If that’s the case, a salad is perfect the way it is: a fully assembled salad. If you have a child that is a bit more opinionated about food, like my eldest, then a salad may not pass the thumbs-up taste test. The crazy thing is Piper, my eldest, has even grown up around real food and salads (we were vegans for the first two years of his life), yet he still turns his nose up at anything and everything that resembles a salad. What’s a mom to do during the summer when salads are a major food staple? Mom, I have a solution! To make a salad kid-friendly (or Piper-friendly), I’ve found the secret sauce is in the presentation. As I prepare our nightly salad, I reserve a small portion of each ingredient on the side for a deconstructed version. I use a small muffin pan to display this assortment along with the dressing. I also include a small helping of the finished salad in one compartment. The idea is that Piper may not enjoy a salad as-is (he is always encouraged to take one bite), but he is able to dabble with the ingredients. I know, the deconstructed idea may sound crazy, but I’ve found this is a very grace-filled approach to introducing a skeptical little foodie, like Piper, to new tastes and meals. And this strategy means I’m not making Piper a separate meal since he can still enjoy a salad, just in a more deconstructed state. Win-win! Today’s recipe is an example of one of the simple salads we enjoy all summer long. 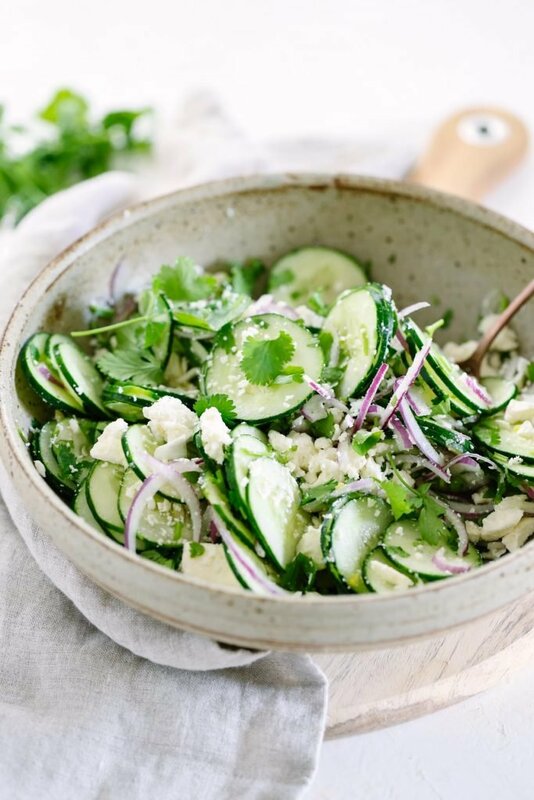 This Simple Cucumber Salad with Lime Vinaigrette pairs perfectly with grilled or oven-roasted chicken thighs, grilled steak or hamburgers, or baked fish. Along with being the perfect side mate, this salad lives up to its simple name. The entire salad only requires four main ingredients, and just a few basic salad dressing ingredients. In fact, I bet you probably have nearly every single ingredient currently sitting in your fridge or pantry. And as an added bonus, this salad takes less than 10 minutes to prepare, from start to finish. 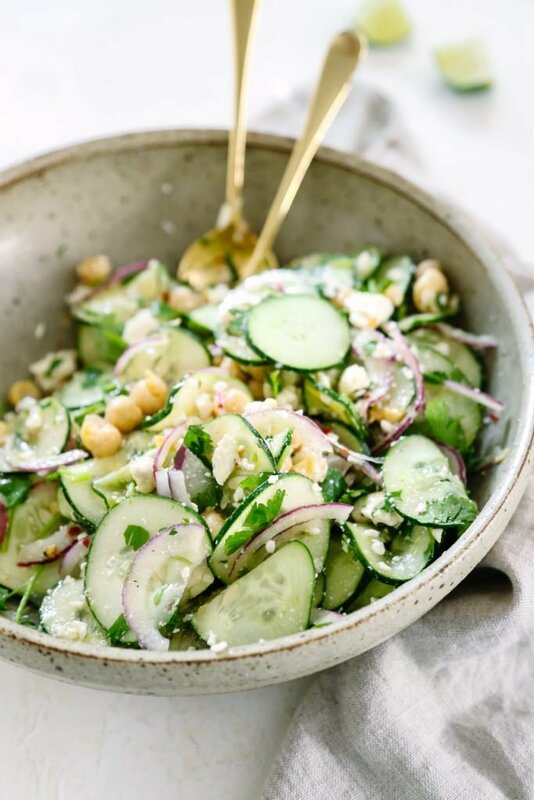 In a large bowl (with enough room to gently toss the salad), combine the salad ingredients: cucumbers, red onions, cilantro, crumbled feta cheese, and chickpeas. 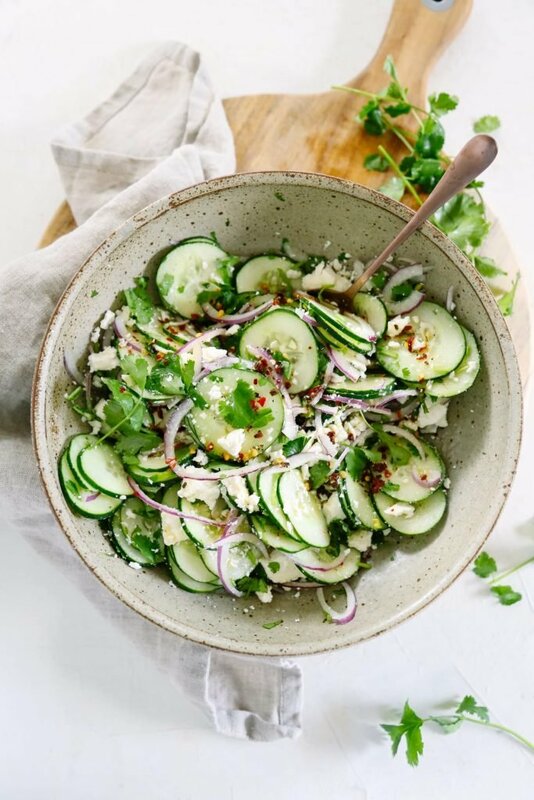 In a small bowl, whisk the dressing ingredients together until the dressing is creamy: olive oil, juice of a lime, crushed red pepper flakes, salt, and pepper. You'll be able to add more salt and pepper to flavor the salad, if desired, once the dressing and salad ingredients are combined. Gently toss the dressing with the salad ingredients. Taste the salad, and add more salt and pepper according to taste. Serve immediately, or allow the salad to rest in the fridge for at least thirty minutes for the flavors to combine and intensify. The salad will keep for about 2 days in the fridge. This salad is really easy to create according to your taste. If you love cilantro, add a bit more. If you love feta, go for the 3/4 cup measurement. If you don’t want a lot of feta in your salad, go with the 1/2 cup measurement. If you don’t have any beans on hand (I use canned chickpeas most of the time), skip them. 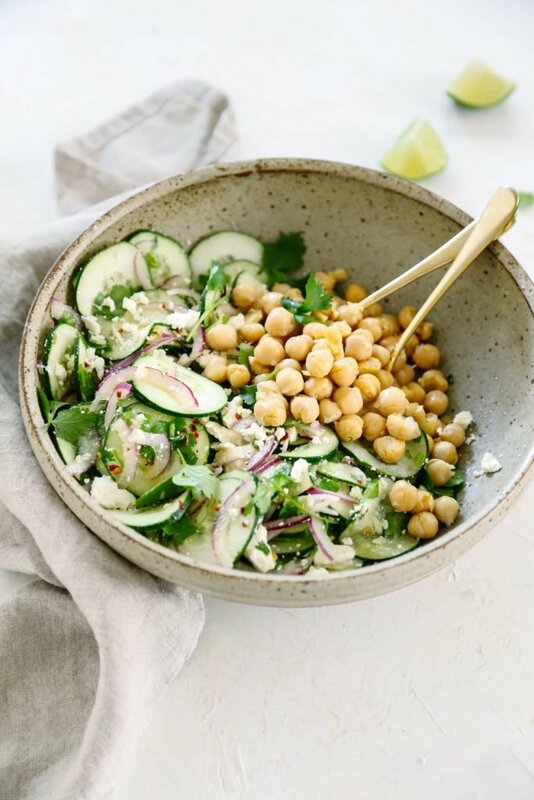 If you want more protein in your salad, add a bit more chickpeas. Customize this salad to your liking! 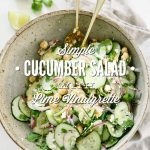 I use a Mandoline (the largest setting) to slice both the cucumbers and onions in this salad. 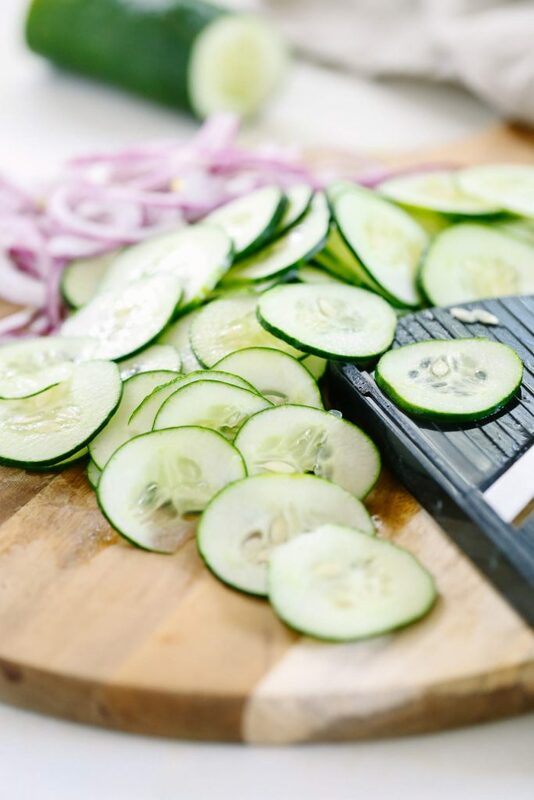 My mandoline comes in handy for many summer slaws and salads. I also highly recommend using a citrus juicer to juice the lime. You’ll get the most juice from your lime this way. 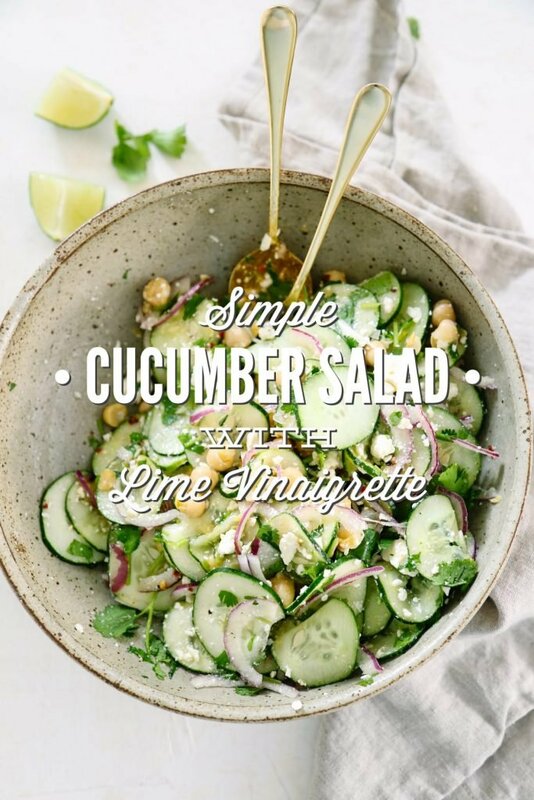 I love cucumber salad and yours is the same as what I make. The only thing I never thought about adding is garbanzo beans. I like them too, so it has to be a win win combonation. As soon as my cucumbers come to size will be making this. I just prepared this salad and it was amazing!!! I ate it from from the bowl and my hubby ate it with a toast and avocado. I haven’t made this yet, but I can already tell I’ll love it! I’m a big fan of both cucumbers and chickpeas. I love that it uses simple, real food. 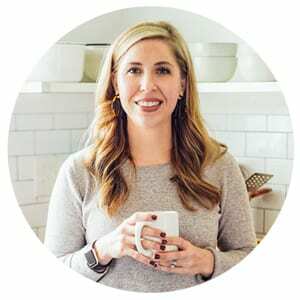 I’m both gluten and dairy free, and it can sometimes be a challenge to find good recipes that are cheap and simple to prepare. All I have to do with this is omit the cheese! I Ken is just starting a new way of eating, need help in healty eating, please! What type of kitchen tools do I need to get started for preparing your healty eating real whole food reciepes. Nutritional analysis would be a big help. Great recipe! Thanks for sharing. Hey June, Thanks for the feedback! I unfortunately happen to be one of those “cilantro tastes like soap” people…is there a different herb i could use? Hey Jennifer, I think dill would be lovely in this salad! You could definitely try that. Maybe a bit of mint, too? Delicious! Having tonight! Using farmers market Armenian cucumbers and purple onion! I also have a picky eater at home who quite often eats a deconstructed or modified version of what the rest of the family eats. She doesn’t like her food mixed together so I accommodate her quirk, but she rarely gets a different meal from the rest of us. I love this salad and your recipe is my go-to. Are there any other vegetables that you think would be good in this mix? Hey Nicole, I’m so glad you’re loving it! I bet sliced radishes would be tasty! Maybe some sliced kholrabi. You could also try mixing in some arugula for some spiciness and greens. Tomatoes would be lovely, too. Just make sure they’re hearty (maybe some halved grape or cherry tomatoes).